Slovenia is holding parliamentary elections on Sunday, June 3. They were officially sparked by the resignation of Prime Minister Miro Cerar in March but a vote was due to take place this year regardless. Cerar, leader of the centre-left Party of Modern Centre, stepped down amid frustration at alleged obstructions to the government’s work. His resignation came just hours after the supreme court scrapped the result of a referendum approving a €1 billion railway project. He was also under pressure from trade unions and coalition partners after strikes in the country demanding higher wages. Who are the key parties? Party of Modern Centre (SMC): Formed in June 2014, it carried Cerar to power less than six weeks later in Slovenia’s last parliamentary poll with a 34.4% vote share. Democratic Party of Pensioners of Slovenia (DeSUS): The centrist movement was in coalition with SMC after securing a 10.2% share of the vote four years ago, its best result since being formed in 1991. Social Democrats (SD): The centre-left party, which emerged from the Communist Party of Slovenia, was a junior partner in the last coalition government. Slovenian Democratic Party (SDS): The right-wing movement, led by former prime minister Janez Jansa, is predicted to win Sunday’s election. Others: There are eco-socialists The Left; the conservative New Slovenia movement; and List of Marjan Šarec, the populist party of a former comedian who topped opinion polls as recently as last December. Welfare, healthcare and levels of salaries are all issues in the run-up to the election, according to Danica Fink-Hafner, an expert on Slovenian politics from the University of Ljubljana. While Slovenia's economy is forecast to grow by a healthy 5.1% this year, boosted by exports and investments, waiting lists for medical examinations and operations are long and the system is short of money and staff, reports Reuters. Recently the last three consultants quit Slovenia's only child surgical cardiology department, saying a lack of doctors meant they could no longer work there. The hospital management is now hoping to keep services going using visiting doctors from Croatia and the Czech Republic. A hike in the number of people trying to cross into Slovenia has pushed migration up the electoral agenda. Police dealt with 1,226 illegal border crossings in the first four months of 2018, compared with 322 over the same period last year. The country was also hit during Europe’s migrant crisis, especially after Hungary erected a fence on its border with Croatia in October 2015. Slovenia saw asylum applications leap from 275 in 2015 to 1,310 a year later as migrant flows were directed elsewhere. Nevertheless Slovenia’s immigrant community — including those from elsewhere in the EU — numbered 245,369 last year in a country with a population of 2.1 million people. The populist SDS, which top latest opinion polls, have vowed to secure the border against illegal migration and bun the burka and niqab in public. Why is the election important for the rest of Europe? If Jansa’s SDS do triumph it could provide further evidence of the swing to populism in some parts of Europe, which has seen anti-establishment parties win sweeping gains in Hungary and Italy in recent months. And it might not be an accident: Europe’s leading populist, Hungary's Viktor Orban, has been in Slovenia speaking at a SDS rally during campaigning. 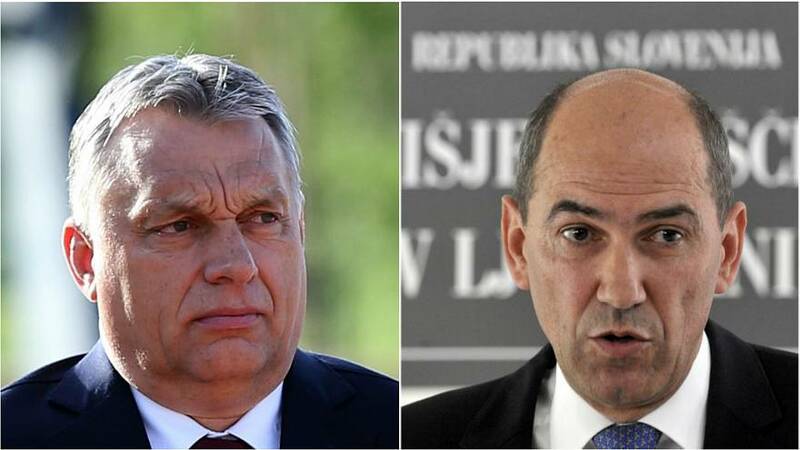 “Jansa’s also took over his [Orban’s] discourse about the need to cut finance for NGOs, in particular those who are left-orientated and multicultural and those who criticise the right-wing immigration policy. “I think homegrown populism really grew on the basis of the mismanagement of the economic crisis, so this was really a criticism of the old elite. “So people turned to parties built on this sentiment, anti-elitism and talking about the fears of people. Slovenia’s political landscape is so fragmented that it is very difficult to predict who will make up the next coalition. Even if SDS wins the election, other parties' expressed unwillingness to work with it may mean it cannot form a government. "I expect very long coalition talks. We will certainly not have a new government before September," Tanja Staric, a political analyst at national broadcaster Radio Slovenia, told Reuters.